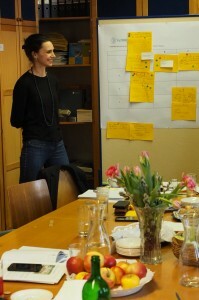 In Austria, the second FoTRRIS workshop at IFZ (www.ifz.at) took place on March 16th. 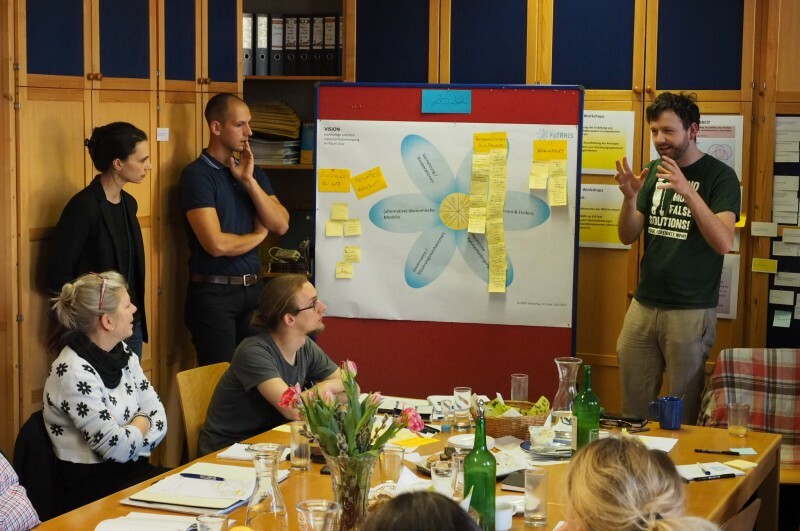 Local farmers, entrepreneurs, policy experts and actors from the alternative food scene worked together with the Austrian team (Sandra Karner, Anita Thaler und Magdalena Wicher) on a vision for 2022 towards a more sustainable food system in the Graz area. While the first workshop broached the issues of measures to optimise the food system in Graz and their feasibility, the participants decided now upon four most important topics, which will be discussed further with more stakeholders from April on. If you are interested in more information, please contact the IFZ-team of FoTRRIS (http://www.ifz.at/eng/content/view/full/8971).